A legal thriller by Shah Peerally which is entertaining and highly inspirational for people of all ages. A tale inspired by the work of US immigration lawyers. FREMONT, CALIFORNIA, UNITED STATES, March 2, 2014 -- Shah Peerally, an immigration lawyer, who has handled thousands of immigration cases, understands the hardship faced by new immigrants. During law school, Shah has noticed new immigrants aren’t fully aware of their legal rights which render them vulnerable to abuses. As a result, Shah started his career by volunteering to help the immigrant community speaking in religious institutions such as Mosques, Temples and Churches about legal rights. After working for two prestigious law firms, in 2005, he opened the Law Offices of Shah Peerally which will ultimately become the Shah Peerally Law Group PC. In 2010, Shah started a radio show on AM radio KLOK 1170 AM and an online radio at www.AttorneyOnAir.com. His radio shows are a praised for helping thousands understand the law and making a good decision on their cases. In the same spirit of helping the community, in 2011 Shah started a small production company (Shah Peerally Productions Inc). The company gained momentum by releasing three movies including one full feature film and two short dramas, two of which were selected for the movie festivals. 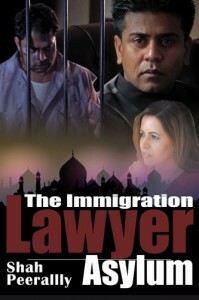 All the movies tackle immigration law problems and other socially sensitive issues such as domestic violence, INA 221g Administrative Processing and Immigration Fraud. Today Shah is considered one of the most respected attorneys of his time. He has been featured as an expert on major TV networks such as NDTV, Times now and his work published several major newspapers. He has been rated by Avvo.com as a Superb attorney with a perfect 10/10 score, and in 2013 was selected as a Rising Star by Superlawyers.com. With his social activism, Shah hopes to better the lives of the immigrants through education and advocacy. Recently Shah has been focusing on writing books as a means to educate the community. Shah's new book, "The Immigration Lawyer Asylum," seems to have all the ingredients to keep the reader captivated including how a US immigration court functions. Being an attorney author, he wants to use his book to assist the average US citizen and immigrants to understand the realities of being a new immigrant. In this book, he covers immigration law, hate crimes and other sensitive issues and their implication on society. Reading this book will fascinate you, especially because it has realistic law notions embedded into a fiction novel. "The Immigration Lawyer Asylum" was written from the attorney author’s perspective, and all the US immigration issues found between the lines have been experienced by Shah Peerally. The main character in the book is Sarah, a corporate lawyer deciding to practice immigration law. Not satisfied with the corporate world, she decides to become an immigration lawyer to fight for immigrants' equal rights to justice. As a result, she joins SPLG, an immigration law firm in California and take the case of Ahmad. Ahmad is a visitor from Iraq, who despite having a valid entry visa is apprehended at that San Francisco airport on pretext of immigration violations. In fact, the actual motive of his arrest was that he was suspected of being a terrorist. 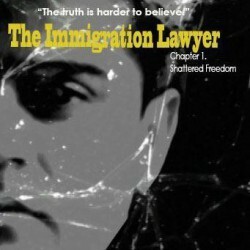 Jack Magnus from Readers' Favorites gives the book a 5 Stars: "...I am so impressed by The Immigration Lawyer. This legal thriller by Shah Peerally is entertaining and highly inspirational -- and not only for young adults. I'd recommend it for anyone who wants to make a difference, especially law students and young lawyers who aren't quite sure about their career plans. Peerally sets out the procedural steps by which Sarah helps Ahmad simply and eloquently, and he makes accessible what has always seemed to me to be a very complicated branch of law. 'The Immigration Lawyer' also explores the all-too-real plight of immigrants in the U.S. after the 9/11 attacks who have been the victims of hate-crimes, and it does all this in an entertaining graphic novel format. The Immigration Lawyer is remarkable and a definite must-read."